CMHC (Canada Mortgage and Housing Corporation) released their latest housing market assessment today. Here are a few tidbits from the report worth noting. 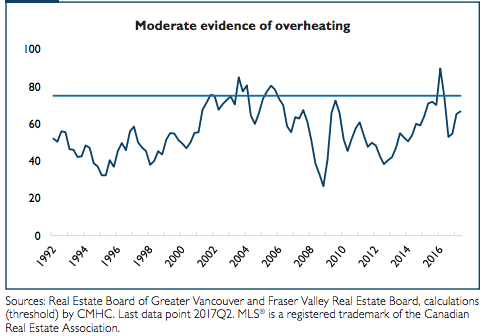 CMHC finds ‘moderate evidence of overheating’ in other words, the sales to new listings ratio was just below 75% for Greater Vancouver. Anything above that is deemed overheated. You’ll note peak frothiness was back in early 2016. However, as I have been harping forever now, the market is very much divided. Depending on the area, and segment, the temperature of the market varies. 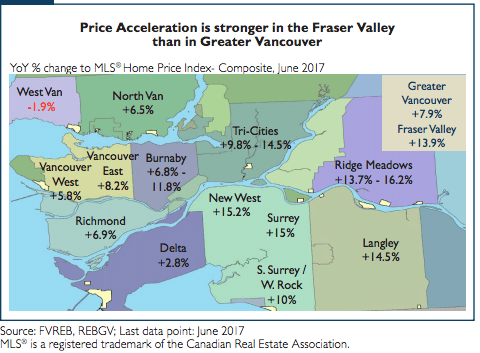 For example there’s a historic euphoria for Fraser Valley condos, meanwhile Vancouver Detached volumes have plopped 36%. Here’s CMHC’s breakdown of market segments. A ratio of 40-60% is considered ‘balanced’ while anything below it is considered a buyers market and vice versa. 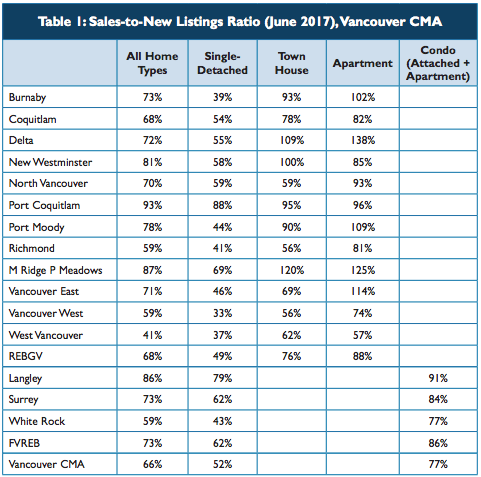 As you can see, peak optimism remains the greatest in the condo market. With the largest price increases dominated by the suburbs. I’d consider this a lag effect or ‘the drive to qualify’ where buyers are forced to drive further and further out in order to purchase a home as prices rise. Something tells me this divide could continue to grow with a new mortgage stress test destined to kick people down a rung on the homeownership ladder.